I argued a case in the Eighth Circuit in St. Louis in September, 2015 which demonstrates how vitally important it is for immigrants to have access to an immigration court attorney. We’re still waiting for a decision, but whether we win or lose, the case demonstrates the very serious consequences of showing up to a final hearing without an attorney and unprepared. More than almost any other fact, Immigration Court representation can make the difference between winning and losing. Much of my work involves representing immigrants in the Kansas City immigration court. But I also represent immigrants on appeal, even if I wasn’t their attorney at court, and I have clients appealing cases from immigration courts all over the country. This person was in immigration court in Kansas City. Long before I got involved for the appeal, our client hired an attorney to help him with his immigration court hearings. He paid the attorney money and thought things would be fine. But before his hearing his attorney got disbarred. The attorney even wrote to the court to tell them he couldn’t represent anyone any longer. But he didn’t tell his client. Flash forward about a year, and our client showed up to what was scheduled to be his last hearing. He told the judge he hadn’t heard from his lawyer in ages and asked for time to hire a new one. In response, the court gave him twenty-seven days to go find another immigration attorney. There are various reasons that hiring an attorney for a trial only twenty-seven days later is impossible. So, if I were meeting with a potential client who only has twenty-seven days until his last hearing, where he’s required to show up and prove his case, I have to consider whether I can get this case ready in twelve days. That’s almost never enough time to get ready for trial (and I don’t know a practicing immigration attorney who could get a case like that ready for trial in twelve days). Second, aside from trial logistics, attorneys have an ethical obligation not to take a case if there isn’t enough time to prepare. Rule 1.1 of the Model Rules of Professional Responsibility requires an attorney to have “competence,” which includes the “thoroughness and preparation reasonably necessary for the representation. If I know I don’t have time to be ready for trial, it could be an ethical a problem taking the case at all (unless the court grants you a continuance, which this judge had already said at the previous hearing that she wouldn’t). 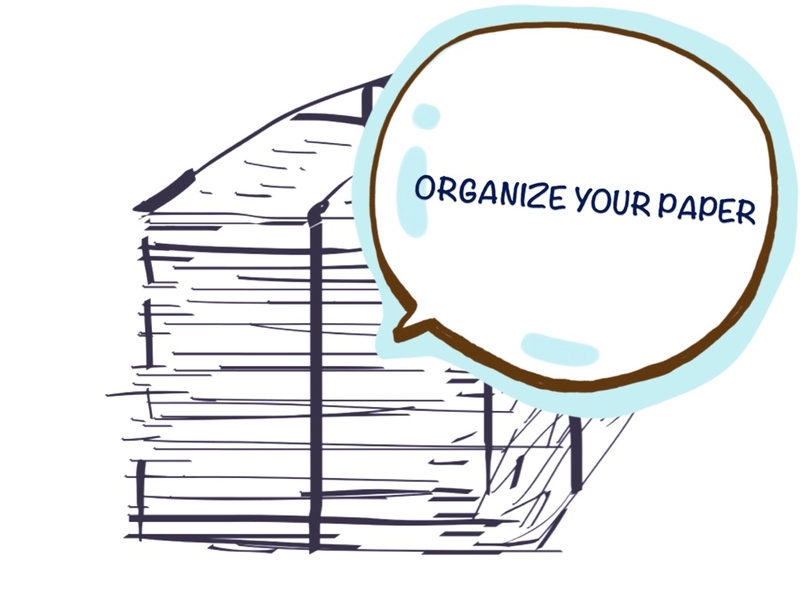 Third, gathering documents isn’t simple. When a client has to prove his marriage is in good faith (as in this case) I might need to file a FOIA request for immigration documents. I might need to file State open records requests or get tax transcripts from the IRS. I might need criminal records, hospital records (which require a HIPAA request), or other public records. Even if I could get the documents in that amount of time, it would take a gargantuan effort. Twelve days just isn’t enough to get those documents ready. 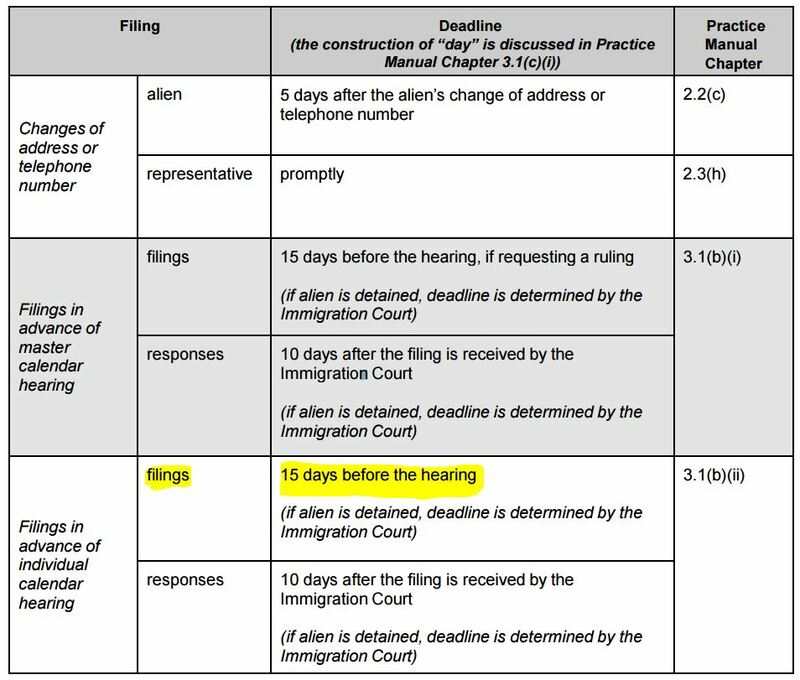 All of this leads to one conclusion: immigrants in court need counsel who has enough time to effectively represent them. This means immigrants with ample time shouldn’t wait to hire counsel, but also the courts must give a person more time when his attorney withdraws or is disbarred at the last minute. When my client showed up to his last hearing, the judge listed the documents she wanted to see. The client said he actually had some of those documents at his house but that he didn’t know he would need them, and he asked if he could go home and bring them right back. Other documents he noted he had given to his old attorney (the one who got disbarred) who still couldn’t be found. The judge said it was too late to file any more documents and concluded he hadn’t proven his case, ordering him removed. Our client filed an appeal right away and then filed the documents that he was able to gather with the appellate board. But they, too, said it was too late to file them and dismissed everything. We got involved when he had already been denied by the BIA, so all we could do was file an appeal in the Eighth Circuit Court of Appeals. What Else Could an Immigration Court Attorney Have Done? It also makes sense to hire the right attorney. Our client’s retained attorney got disbarred. But it can help to ask potential attorneys if they’ve ever been disciplined by their State bar and if they have malpractice insurance (as well as whether they have handled similar cases in the past). So what good can an immigration court attorney do? Of course a good attorney (and a little more time) could have allowed our client to gather necessary documents and submit them to the judge in a way that was persuasive and organized. But another thing an attorney can do is think outside the box: consider other immigration options, visas, and strategies in court that hadn’t yet been considered. In theory an immigration judge is supposed to analyze what an immigrant is eligible for, especially when he doesn’t have an attorney. But we repeatedly see cases where the judge doesn’t do that, and the growing Immigration Court dockets makes it ever harder for an Immigration Judge to thoroughly review every case. For example, we regularly see potential clients who are fighting with the government over whether a marriage was entered into in good faith. Usually it is but they’ve been unable to prove it. But sometimes that same person is actually eligible for a different visa that doesn’t depend on marriage (like a U Visa for victims of crime). And if a U Visa is pending, the judge should be more likely to grant a continuance. Faced with the choice of a very expensive battle over the merits of his marriage and a less-expensive visa petition, that client will be happy to know he has other options. The appeal is pending, so we could win or lose. Either way, the Eighth Circuit will write a decision explaining why it’s granting or denying the appeal. Thankfully, the case is before a good panel of judges in the Eighth Circuit. They’ll consider the issues we raised. If we win, it would mean the court sends the case back to the agency to either consider the documents he already submitted (which they previously refused to consider because they were late) or give him a new hearing. And at his new hearing he’ll have time to hire an immigration court attorney to help him. That’s certainly what we’re hoping for and what we have argued is the fairest outcome. But it’s also possible the court will say it is too late and that he should have hired an attorney earlier and gotten help preparing his documents. Which, at the end of the day, just underscores how crucial it is for immigrants to have access to counsel in immigration court. If the client had known what documents to file and could have filed them before his court hearing, this outcome could have been completely different and no appeal should have been necessary.